One of the biggest hurdles for kids when it comes to math is word problems. Just the sight of a word problem can either send kids into a panic or cause them to number pluck: meaning they simply pull out all the numbers and guess at an operation (often just adding them up). But if we want kids to think like mathematicians and learn to be strong problem solvers, we have to help them think about and communicate big math ideas. They need to learn to ask questions and explore for the sake of being curious, not just for the sake of getting a right answer. This is why I love the notice and wonder math activity. 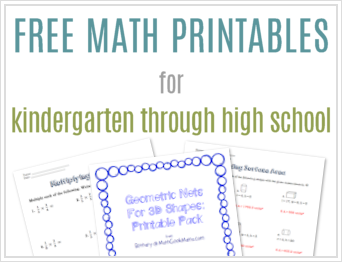 This idea was first introduced by Annie Fetter at The Math Forum in 2007. Rather than assuming low-achieving students were incapable, she assumed they merely needed a little help getting started. 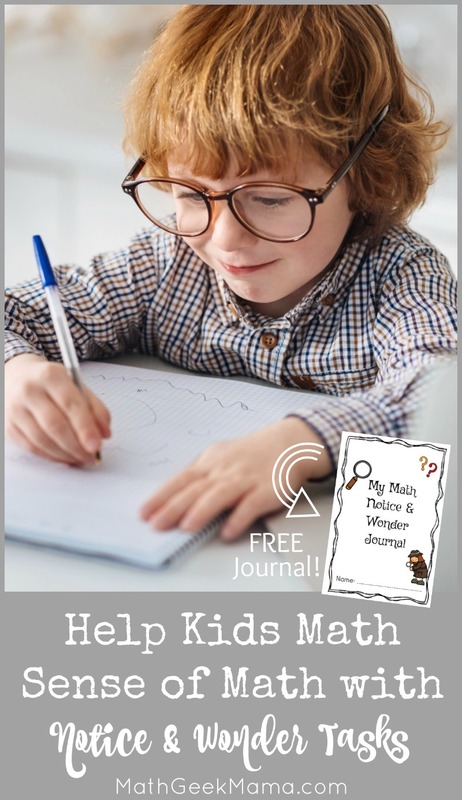 “The wonderful thing that we’ve found is that students are very capable, with practice, of finding important information in math problems (and stories, images, videos, etc.) and making conjectures about that information. It’s a matter of helping them get started, valuing their ideas and helping them stay connected to their own thinking. Using an “I Notice, I Wonder…” prompt to begin the brainstorming process is an excellent way to draw kids in, encourage curiosity and help them get started. So what does this mean? It means you begin by presenting students with something interesting. This could be a picture or a short video clip. It could be a new math problem they haven’t encountered before. It could be a word problem. Do not present the entire problem and question, however, only the introductory information or visual representation. Begin with a picture of the situation. Or the context of a word problem without the actual question. Then simply ask, “What do you notice?” Make a list of all the things kids notice about the particular situation or picture. Then ask, “Is there anything you wonder about this?” Make a list of questions that kids wonder about the particular situation. This is an incredibly important step in solving math problems, and yet it is the most often skipped, overlooked or rushed process in students. Either kids are overwhelmed by the problem and so they pluck out the numbers and just do something, just to have something on their paper, or they assume they already know how to do the math, so they rush to get the answer. Kids who struggle, rush or skip this step because they assume they can’t do it. Kids who do well in math rush because they assume they already know everything they need to know. By slowing kids down and encouraging them to just stop to notice things about a problem allows all students to engage in the problem solving process and gives all kids a starting point. 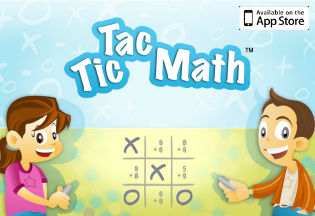 It also allows for the opportunity to make connections to different mathematical ideas present in the problem, connections that are often lost because kids rush through just to get an answer. After a sufficient exploration of the situation and possible questions related to the situation, reveal what question you actually want them to answer, and let them work to solve it. Why Use an I Notice/I Wonder Routine to Solve Problems? The Standards for Mathematical Practice include the following goal for all math students: make sense of problems and persevere in solving them. Asking kids, “What do you notice about this (problem, question, picture, video…)?” allows them to observe and begin to make sense of the situation. Following up that observation with, “What do you wonder (i.e. what questions do you have?) about this (problem, question, picture, video…)?” allows kids to make meaningful conjectures, based on what interests them in this context. Over time, noticing and wondering about the context of a problem becomes more of a habit and routine for students than an assignment from the teacher. This leads to perseverance in problem solving because it gives all students a starting point and a means of getting “unstuck” when they’re confused about a problem or situation. 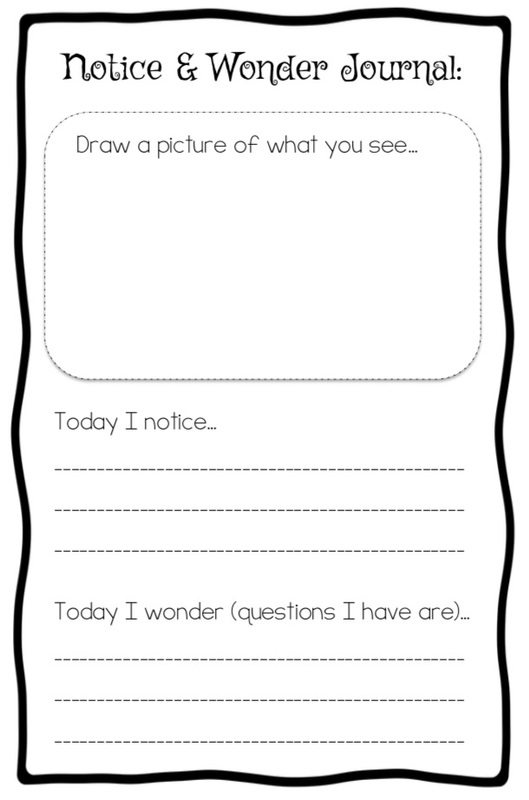 To help you make I Notice, I Wonder routines a more regular part of your math instruction, I have created a simple “I Notice, I Wonder” printable journal that you can print out for students to record their thoughts. 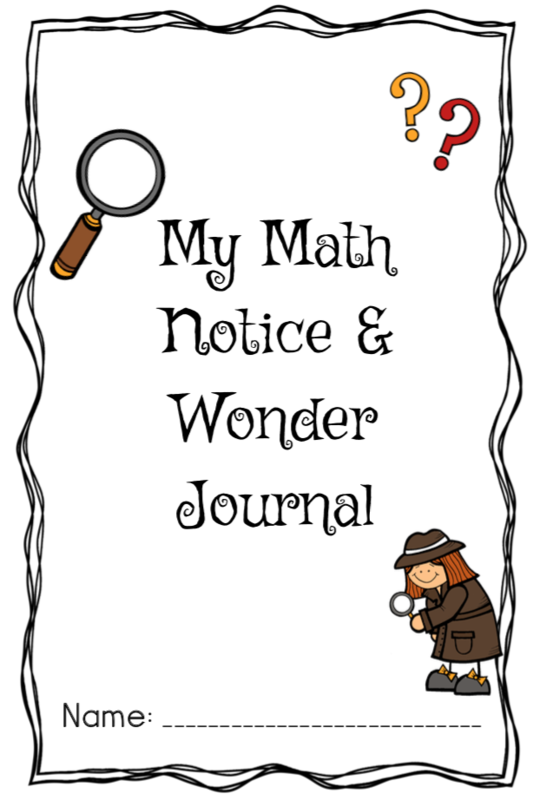 This journal was originally designed to go along with my math enrichment curriculum, “Math In Nature,” which includes a notice and wonder brainstorming prompt for each mathematical topic. It is blank, however, and so it can easily be used with whatever math context, task or problem you choose to present to your students. 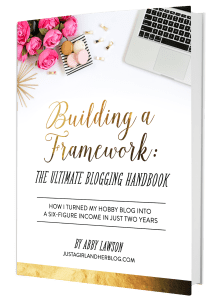 I hope you enjoy this simple, printable journal! Thank you for sharing so many amazing resources with us. We truly appreciate your time and talents.